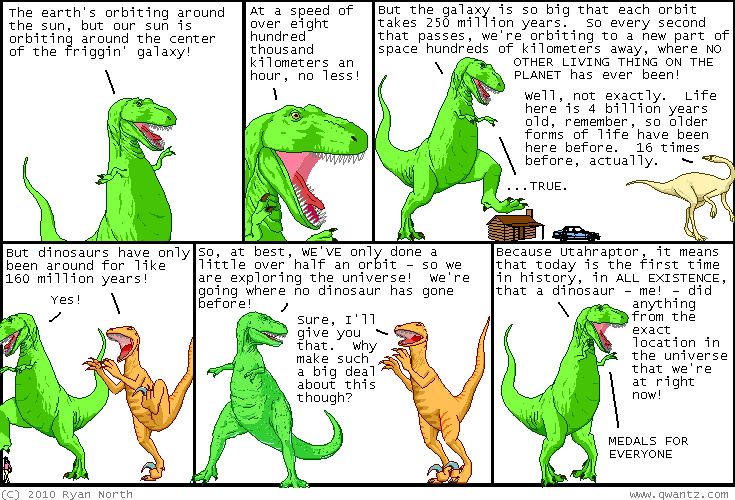 Dinosaur Comics - January 7th, 2010 - awesome fun times! January 7th, 2010: John "Pictures for Sad Children" Campbell is doing hourly comics again! Every hour he does a short two-panel comic about that hour, and he's doing it ALL MONTH. They're great even if you're not stalking John Campbell!